PCIe/104 SATA Controller - RTD Embedded Technologies, Inc. 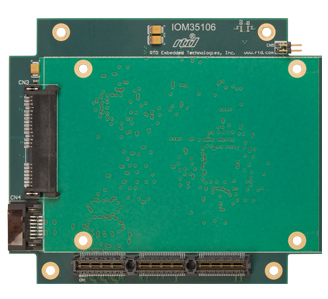 The IOM35106 is designed to provide a PCI Express (PCIe) to SATA Controller. It uses a PCIe x1 link to provide two SATA connections links. 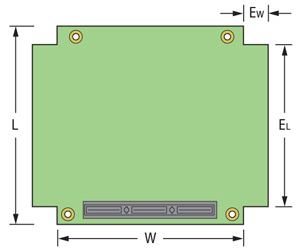 The onboard drive utilizes the first SATA link provide by the controller, while the second link utilizes the right angle connector and will need external out-of-stack cabling.